“The Commonwealth” redirects here. It is not to be confused with the Commonwealth of Independent States. For other uses, see Commonwealth (disambiguation). The Commonwealth dates back to the first half of the 20th century with the decolonisation of the British Empire through increased self-governance of its territories. It was originally created as the British Commonwealth through the Balfour Declaration at the 1926 Imperial Conference, and formalised by the United Kingdom through the Statute of Westminster in 1931. The current Commonwealth of Nations was formally constituted by the London Declaration in 1949, which modernised the community, and established the member states as “free and equal”. The countries of the Commonwealth cover more than 29,958,050 km2 (11,566,870 sq mi), equivalent to 20% of the world’s land area, and span all six inhabited continents. 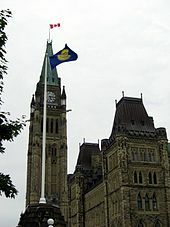 Queen Elizabeth II, in her address to Canada on Dominion Day in 1959, pointed out that the confederation of Canada on 1 July 1867 had been the birth of the “first independent country within the British Empire”. She declared: “So, it also marks the beginning of that free association of independent states which is now known as the Commonwealth of Nations.” As long ago as 1884 Lord Rosebery, while visiting Australia, had described the changing British Empire, as some of its colonies became more independent, as a “Commonwealth of Nations”. Conferences of British and colonial prime ministers occurred periodically from the first one in 1887, leading to the creation of the Imperial Conferences in 1911. The Commonwealth developed from the imperial conferences. A specific proposal was presented by Jan Smuts in 1917 when he coined the term “the British Commonwealth of Nations” and envisioned the “future constitutional relations and readjustments in essence” at the Paris Peace Conference of 1919, attended by delegates from the Dominions as well as Britain. The term first received imperial statutory recognition in the Anglo-Irish Treaty of 1921, when the term British Commonwealth of Nations was substituted for British Empire in the wording of the oath taken by members of parliament of the Irish Free State. In the Balfour Declaration at the 1926 Imperial Conference, Britain and its dominions agreed they were “equal in status, in no way subordinate one to another in any aspect of their domestic or external affairs, though united by common allegiance to the Crown, and freely associated as members of the British Commonwealth of Nations”. The term “Commonwealth” was officially adopted to describe the community. Although the Union of South Africa was not among the Dominions that needed to adopt the Statute of Westminster for it to take effect, two laws—the Status of the Union Act, 1934, and the Royal Executive Functions and Seals Act of 1934—were passed to confirm South Africa’s status as a sovereign state. After the Second World War ended, the British Empire was gradually dismantled. Most of its components have become independent countries, whether Commonwealth realms or republics, and members of the Commonwealth. There remain the 14 mainly self-governing British overseas territories which retain some political association with the United Kingdom. In April 1949, following the London Declaration, the word “British” was dropped from the title of the Commonwealth to reflect its changing nature. The postwar Commonwealth was given a fresh mission by Queen Elizabeth in her Christmas Day 1953 broadcast, in which she envisioned the Commonwealth as “an entirely new conception – built on the highest qualities of the Spirit of Man: friendship, loyalty, and the desire for freedom and peace”. Hoped for success was reinforced by such achievements as climbing Mount Everest in 1953, breaking the four-minute mile in 1954, and a solo circumnavigation of the globe in 1966. However, the humiliation of the Suez Crisis of 1956 badly hurt the morale of Britain and of the Commonwealth as a whole. More broadly, there was the loss of a central role of the British Empire: the defence of the Empire. That role was no longer militarily or financially feasible, as Britain’s withdrawal from Greece in 1947 had painfully demonstrated. Britain itself was now just one part of the NATO military alliance in which the Commonwealth had no role apart from Canada. The ANZUS treaty of 1955 linked Australia, New Zealand, and the United States in a defensive alliance, with Britain and the Commonwealth left out. The second major function of the Empire made London the financial centre of the system. After the Second World War, the British treasury was so weak that it could not operate independently of the United States. The loss of defence and financial roles, furthermore, undermined Joseph Chamberlain’s early 20th century vision of a world empire that could combine Imperial preference, mutual defence, and social growth. Furthermore, Britain’s cosmopolitan role in world affairs became increasingly limited, especially with the losses of India and Singapore. While British elites at first hoped the Commonwealth would preserve and project British influence, they gradually lost their enthusiasm, argues Krishnan Srinivasan. Early enthusiasm waned as British policies came under fire at Commonwealth meetings. Public opinion became troubled as immigration from non-white member states became large-scale. On 18 April 1949 legislation in Ireland came into effect which terminated its use of the King as an agent for appointing Irish diplomats. The members of the Commonwealth chose to regard that as having caused Ireland to become a republic, even though it had had a republican constitution since 1937. As a consequence, the members of the Commonwealth ceased to regard Ireland as a member, while its own government considered that it was already a non-member. While Ireland had not actively participated in the Commonwealth since the early 1930s and was content to be excluded from the Commonwealth, other dominions wished to become republics without losing Commonwealth ties. The issue came to a head in April 1949 at a Commonwealth prime ministers’ meeting in London. 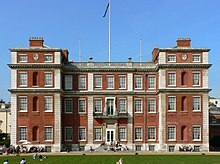 Under the London Declaration, India agreed that, when it became a republic in January 1950, it would accept the King personally as a “symbol of the free association of its independent member nations and as such the Head of the Commonwealth”. Upon hearing this, King George VI told the Indian politician Krishna Menon: “So, I’ve become ‘as such'”. The other Commonwealth countries recognised India’s continuing membership of the association. At Pakistan’s insistence, India was not regarded as an exceptional case, and it was assumed that other states would be accorded the same treatment as India. The London Declaration is often seen as marking the beginning of the modern Commonwealth. Following India’s precedent, other nations became republics, or constitutional monarchies with their own monarchs, while some countries retained the same monarch as the United Kingdom, but their monarchies developed differently and soon became fully independent of the British monarchy. The monarch is regarded as a separate legal personality in each realm, even though the same person is monarch of each realm. 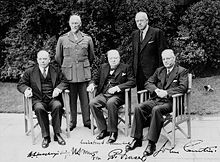 Planners in the interwar period, like Lord Davies, who had also taken “a prominent part in building up the League of Nations Union” in the United Kingdom, in 1932 founded the New Commonwealth Society, of whose British section Winston Churchill became the president. This new society was aimed at the creation of an international air force to be an arm of the League of Nations, to allow nations to disarm and safeguard the peace. At a time when Germany and France, together with Belgium, Italy, Luxembourg, and the Netherlands, were planning what later became the European Union, and newly independent African countries were joining the Commonwealth, new ideas were floated to prevent Britain from becoming isolated in economic affairs. British trade with the Commonwealth was four times larger than its trade with Europe. In 1956 and 1957 the British government under Prime Minister Anthony Eden considered a “Plan G” to create a European free trade zone while also protecting the favoured status of the Commonwealth. Britain also considered inviting Scandinavian and other European countries to join the Commonwealth, so that it would become a major economic common market. At one point in October 1956 Eden and French Prime Minister Guy Mollet discussed having France join the Commonwealth. Nothing came of any of the proposals. The head of government hosting the CHOGM is called the Commonwealth Chairperson-in-Office and retains the position until the following CHOGM. After the most recent CHOGM, in London, UK, from 18 to 20 April 2018 the UK’s prime minister, Theresa May, became the Chairperson-in-Office and will continue to hold the title until the next CHOGM, scheduled to take place in Rwanda in 2020. The Commonwealth Secretariat, established in 1965, is the main intergovernmental agency of the Commonwealth, facilitating consultation and co-operation among member governments and countries. It is responsible to member governments collectively. The Commonwealth of Nations is represented in the United Nations General Assembly by the secretariat as an observer. The secretariat organises Commonwealth summits, meetings of ministers, consultative meetings and technical discussions; it assists policy development and provides policy advice, and facilitates multilateral communication among the member governments. It also provides technical assistance to help governments in the social and economic development of their countries and in support of the Commonwealth’s fundamental political values. In recognition of their shared heritage and culture, Commonwealth countries are not considered to be “foreign” to each other, although the technical extent of this concept varies in different countries. For example, in Australia, for the purpose of considering certain constitutional and legal provisions no distinction is made between Commonwealth and foreign countries: in the High Court case of Sue v Hill, other Commonwealth countries were held to be foreign powers; similarly, in Nolan v Minister for Immigration and Ethnic Affairs, the nationals of other Commonwealth realms were held to be ‘aliens’. Nevertheless, the closer association amongst Commonwealth countries is reflected at least in the diplomatic protocols of the Commonwealth countries. For example, when engaging bilaterally with one another, Commonwealth governments exchange high commissioners instead of ambassadors. Between two Commonwealth realms, they represent the head of government rather than the head of state. The criteria for membership of the Commonwealth of Nations have developed over time from a series of separate documents. The Statute of Westminster 1931, as a fundamental founding document of the organisation, laid out that membership required dominionhood. The 1949 London Declaration ended this, allowing republican and indigenous monarchic members on the condition that they recognised the British monarch as the “Head of the Commonwealth“. In the wake of the wave of decolonisation in the 1960s, these constitutional principles were augmented by political, economic, and social principles. The first of these was set out in 1961, when it was decided that respect for racial equality would be a requirement for membership, leading directly to the withdrawal of South Africa’s re-application (which they were required to make under the formula of the London Declaration upon becoming a republic). The 14 points of the 1971 Singapore Declaration dedicated all members to the principles of world peace, liberty, human rights, equality, and free trade. New members must “as a general rule” have a direct constitutional link to an existing member. In most cases, this is due to being a former colony of the United Kingdom, but some have links to other countries, either exclusively or more directly (e.g. Samoa to New Zealand, Papua New Guinea to Australia, and Namibia to South Africa). The first member to be admitted without having any constitutional link to the British Empire or a Commonwealth member was Mozambique, a former Portuguese colony, in 1995 following its first democratic elections and South Africa’s re-admission in 1994. Mozambique’s controversial entry led to the Edinburgh Declaration and the current membership guidelines. In 2009, Rwanda became the second Commonwealth member admitted not to have any such constitutional links. It was a Belgian trust territory that had been a German colony until World War I. Consideration for its admission was considered an “exceptional circumstance” by the Commonwealth Secretariat. The status of “Member in Arrears” is used to denote those that are in arrears in paying subscription dues. The status was originally known as “special membership“, but was renamed on the Committee on Commonwealth Membership‘s recommendation. There are currently no Members in Arrears. The most recent Member in Arrears, Nauru, returned to full membership in June 2011. Nauru has alternated between special and full membership since joining the Commonwealth, depending on its financial situation. South Sudanese politicians have expressed interest in joining the Commonwealth. A senior Commonwealth source stated in 2006 that “many people have assumed an interest from Israel, but there has been no formal approach”. The State of Palestine is also a potential candidate for membership. Other eligible applicants could be any of the remaining inhabited British overseas territories, Crown dependencies, Australian external territories and the Associated States of New Zealand if they become fully independent. Many such jurisdictions are already directly represented within the Commonwealth, particularly through the Commonwealth Family. There are also former British possessions that have not become independent, for example, Hong Kong, which still participates in some of the institutions within the Commonwealth Family. All three Crown dependencies regard the existing situation as unsatisfactory and have lobbied for change. The States of Jersey have called on the UK Foreign Secretary to request that the Commonwealth Heads of Government “consider granting associate membership to Jersey and the other Crown Dependencies as well as any other territories at a similarly advanced stage of autonomy”. Jersey has proposed that it be accorded “self-representation in all Commonwealth meetings; full participation in debates and procedures, with a right to speak where relevant and the opportunity to enter into discussions with those who are full members; and no right to vote in the Ministerial or Heads of Government meetings, which is reserved for full members”. The States of Guernsey and the Government of the Isle of Man have made calls of a similar nature for a more integrated relationship with the Commonwealth, including more direct representation and enhanced participation in Commonwealth organisations and meetings, including Commonwealth Heads of Government Meetings. The Chief Minister of the Isle of Man has said: “A closer connection with the Commonwealth itself would be a welcome further development of the Island’s international relationships”. At the time of the Suez Crisis in 1956, in the face of colonial unrest and international tensions, French Premier Guy Mollet proposed to British Prime Minister Anthony Eden that their two countries be joined in a “union”. When that proposal was turned down, Mollet suggested that France join the Commonwealth, possibly with “a common citizenship arrangement on the Irish basis“. Talks regarding a form of union faded away with the end of the Suez crisis. In recent years, the Commonwealth has suspended several members “from the Councils of the Commonwealth” for “serious or persistent violations” of the Harare Declaration, particularly in abrogating their responsibility to have democratic government. This is done by the Commonwealth Ministerial Action Group (CMAG), which meets regularly to address potential breaches of the Harare Declaration. Suspended members are not represented at meetings of Commonwealth leaders and ministers, although they remain members of the organisation. Currently, there are no suspended members. Nigeria was suspended between 11 November 1995 and 29 May 1999, following its execution of Ken Saro-Wiwa on the eve of the 1995 CHOGM. Pakistan was the second country to be suspended, on 18 October 1999, following the military coup by Pervez Musharraf. The Commonwealth’s longest suspension came to an end on 22 May 2004, when Pakistan’s suspension was lifted following the restoration of the country’s constitution. Pakistan was suspended for a second time, far more briefly, for six months from 22 November 2007, when Musharraf called a state of emergency. Zimbabwe was suspended in 2002 over concerns regarding the electoral and land reform policies of Robert Mugabe‘s ZANU-PF government, before it withdrew from the organisation in 2003. On 15 May 2018, Zimbabwe applied to rejoin the Commonwealth. The declaration of a Republic in Fiji in 1987, after military coups designed to deny Indo-Fijians political power, was not accompanied by an application to remain. Commonwealth membership was held to have lapsed until 1997, after discriminatory provisions in the republican constitution were repealed and reapplication for membership made. Fiji has since been suspended twice, with the first imposed from 6 June 2000 to 20 December 2001 after another coup. Fiji was suspended yet again in December 2006, following the most recent coup. At first, the suspension applied only to membership on the Councils of the Commonwealth. After failing to meet a Commonwealth deadline for setting a date for national elections by 2010, Fiji was “fully suspended” on 1 September 2009. The Secretary-General of the Commonwealth, Kamalesh Sharma, confirmed that full suspension meant that Fiji would be excluded from Commonwealth meetings, sporting events and the technical assistance programme (with an exception for assistance in re-establishing democracy). Sharma stated that Fiji would remain a member of the Commonwealth during its suspension, but would be excluded from emblematic representation by the secretariat. On 19 March 2014 Fiji’s full suspension was amended to a suspension from councils of the Commonwealth by the Commonwealth Ministerial Action Group, permitting Fiji to join a number of Commonwealth activities, including the Commonwealth Games. Fiji’s suspension was lifted in September 2014. The Commonwealth Ministerial Action Group fully reinstated Fiji as a member following elections in September 2014. As membership is purely voluntary, member governments can choose at any time to leave the Commonwealth. Pakistan left on 30 January 1972 in protest at the Commonwealth’s recognition of breakaway Bangladesh, but rejoined on 2 August 1989. Zimbabwe’s membership was suspended in 2002 on the grounds of alleged human rights violations and deliberate misgovernment, and Zimbabwe’s government terminated its membership in 2003. The Gambia left the Commonwealth on 3 October 2013, and rejoined on 8 February 2018. The Maldives withdrew from the Commonwealth on 13 October 2016. The Maldivian Ministry of Foreign Affairs stated that “the Commonwealth has not recognised […] the progress and achievements that the Maldives accomplished in cultivating a culture of democracy in the country and in building and strengthening democratic institutions”. The Ministry also cited the Commonwealth’s “punitive actions against the Maldives since 2012” after the allegedly forced resignation of Maldivian President Mohamed Nasheed among the reasons for withdrawal. The Ministry characterized the decision to withdraw as “difficult, but inevitable”. Following the election of Ibrahim Mohamed Solih as president in November 2018, the Maldives announced its intention to reapply to join the Commonwealth. Ireland withdrew from participation in the Commonwealth in the 1930s, attending its last Commonwealth governmental heads’ meeting in 1932. For some years Ireland considered itself to be a republic outside the Commonwealth but the Commonwealth considered Ireland to still be a Commonwealth member. Its treatment as a member ended on 18 April 1949 when Irish legislation that the Commonwealth chose to regard as having caused Ireland to become a republic became law. It is the only country whose membership terminated without any declaration withdrawing from the organisation. Instead, it was (with its own tacit support) excluded from the organisation. South Africa was barred from continuing as a member after it became a republic in 1961, due to hostility from many members, particularly those in Africa and Asia as well as Canada, to its policy of racial apartheid. The South African government withdrew its application to remain in the organisation as a republic when it became clear at the 1961 Commonwealth Prime Ministers’ Conference that any such application would be rejected. South Africa was re-admitted to the Commonwealth in 1994, following its first multiracial elections that year. The transfer of sovereignty over Hong Kong in 1997 ended the colony’s status as a part of the Commonwealth through the United Kingdom. Non-sovereign states or regions are not permitted to become members of the Commonwealth. The government of the People’s Republic of China has not pursued membership. Hong Kong has nevertheless continued to participate in some of the organisations of the Commonwealth family, such as the Commonwealth Lawyers Association (hosted the Commonwealth Lawyers Conference in 1983 and 2009), the Commonwealth Parliamentary Association (and the Westminster Seminar on Parliamentary Practice and Procedures), the Association of Commonwealth Universities and the Commonwealth Association of Legislative Counsel. The Commonwealth’s objectives were first outlined in the 1971 Singapore Declaration, which committed the Commonwealth to the institution of world peace; promotion of representative democracy and individual liberty; the pursuit of equality and opposition to racism; the fight against poverty, ignorance, and disease; and free trade. To these were added opposition to discrimination on the basis of gender by the Lusaka Declaration of 1979, and environmental sustainability by the Langkawi Declaration of 1989. These objectives were reinforced by the Harare Declaration in 1991. The Commonwealth’s current highest-priority aims are on the promotion of democracy and development, as outlined in the 2003 Aso Rock Declaration, which built on those in Singapore and Harare and clarified their terms of reference, stating, “We are committed to democracy, good governance, human rights, gender equality, and a more equitable sharing of the benefits of globalisation.” The Commonwealth website lists its areas of work as: democracy, economics, education, gender, governance, human rights, law, small states, sport, sustainability, and youth. In the end, two-thirds of the EPG’s 106 urgently recommended reforms were referred to study groups, an act described by one EPG member as having them “kicked into the long grass”. There was no agreement to create the recommended position of human rights commissioner, instead a ministerial management group was empowered with enforcement: the group includes alleged human rights offenders. It was agreed to develop a charter of values for the Commonwealth without any decision on how compliance with its principles would be enforced. The result of the effort was that a new Charter of the Commonwealth was signed by Queen Elizabeth on 11 March 2013 at Marlborough House, which opposes “all forms of discrimination, whether rooted in gender, race, colour, creed, political belief or other grounds”. In March 2015, the Commonwealth Freedom of Movement Organisation proposed that the national governments of the United Kingdom, Australia, New Zealand and Canada – the four Commonwealth countries with a white, Anglo-Saxon majority, should advocate for freedom of movement between citizens of their countries, similar to the current arrangement existing between Australia and New Zealand through the Trans-Tasman Travel Arrangement. In May 2016, Australian High Commissioner to the United Kingdom Alexander Downer expressed support for “freer movement” between Australia and the United Kingdom, stating: “Over time we would like to continue to talk to the British government about arrangements we could make to liberalise movement between Australia and the UK, if not have completely free movement…”. During the Second World War, the Commonwealth played a major role in helping British finances. Foreign exchange reserves were pooled in London, to be used to fight the war. In effect Britain borrowed £2.3 billion, of which £1.3 billion was from India. The debt was held in the form of British government securities and became known as “sterling balances”. By 1950, India, Pakistan and Ceylon had spent much of their sterling, while other countries accumulated more. The sterling area that included all of the Commonwealth except for Canada, together with some smaller countries especially in the Persian Gulf. They held their foreign-exchange in sterling, protecting that currency from runs, and facilitating trade and investment inside the Commonwealth. It was a formal relationship with fixed exchange rates, and periodic meetings at Commonwealth summits to coordinate trade policy, and domestic economic policies. Britain ran a trade surplus, and the other countries were mostly producers of raw materials sold to Britain. However the British economy was sluggish, compared to Western Europe, by the 1960s, and the commercial rationale was gradually less attractive to the Commonwealth. Access to the growing London capital market, however, remained an important advantage to the newly independent nations. As Britain moved increasingly close to Europe, however, the long-term ties began to be in doubt. seemed shattering to most Australians, particularly to older people and conservatives. In fact the United Kingdom, as Australia’s chief trading partner, was being very rapidly replaced just at this time by the United States and an economically resurgent Japan, but most people were scarcely aware of this…. It was feared that British entry into the Common Market was bound to mean abolition, or at least scaling down, of preferential tariff arrangements for Australians goods. The Foundation was established in 1965 by the Heads of Government. Admittance is open to all members of the Commonwealth, and in December 2008, stood at 46 out of the 53 member countries. Associate Membership, which is open to associated states or overseas territories of member governments, has been granted to Gibraltar. 2005 saw celebrations for the Foundation’s 40th Anniversary. The Foundation is headquartered in Marlborough House, Pall Mall, London. Regular liaison and co-operation between the Secretariat and the Foundation is in place. The Foundation continues to serve the broad purposes for which it was established as written in the Memorandum of Understanding. 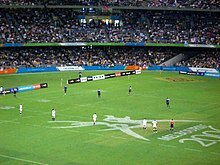 The Commonwealth Games are the third-largest multi-sport event in the world, bringing together globally popular sports and peculiarly “Commonwealth” sports, such as rugby sevens, shown here at the 2006 Games. The Commonwealth Games, a multi-sport event, is held every four years; the 2014 Commonwealth Games were held in Glasgow, Scotland, and the 2018 Commonwealth Games in Gold Coast, Australia. Birmingham is set to be the host for 2022 Commonwealth Games. As well as the usual athletic disciplines, as at the Summer Olympic Games, the games include sports particularly popular in the Commonwealth, such as bowls, netball, and rugby sevens. Started in 1930 as the Empire Games, the games were founded on the Olympic model of amateurism, but were deliberately designed to be “the Friendly Games”, with the goal of promoting relations between Commonwealth countries and celebrating their shared sporting and cultural heritage. The games are the Commonwealth’s most visible activity and interest in the operation of the Commonwealth increases greatly when the Games are held. There is controversy over whether the games—and sport generally—should be involved in the Commonwealth’s wider political concerns. The 1977 Gleneagles Agreement was signed to commit Commonwealth countries to combat apartheid through discouraging sporting contact with South Africa (which was not then a member), whilst the 1986 games were boycotted by most African, Asian, and Caribbean countries for the failure of other countries to enforce the Gleneagles Agreement. CLGF is unique in bringing together central, provincial and local spheres of government involved in local government policy and decision-making. CLGF members include local government associations, individual local authorities, ministries dealing with local government, and research and professional organisations who work with local government. Practitioner to practitioner support is at the core of CLGF’s work across the Commonwealth and within the region, using CLGF’s own members to support others both within and between regions. CLGF is a member of the Global Taskforce of Local and Regional Governments, the formal partner of the UN Major Group of Local Authorities. Many Commonwealth nations play similar sports that are considered quintessentially British in character, rooted in and developed under British rule or hegemony, including football, cricket, rugby, and netball. This has led to the development of friendly national rivalries between the main sporting nations that have often defined their relations with each another. Indeed, said rivalries preserved close ties by providing a constant in international relationships, even as the Empire transformed into the Commonwealth. Externally, playing these sports is seen to be a sign of sharing a certain Commonwealth culture; the adoption of cricket at schools in Rwanda is seen as symbolic of the country’s move towards Commonwealth membership. In 1987, the Commonwealth Foundation established the annual Commonwealth Writers’ Prize “to encourage and reward the upsurge of new Commonwealth fiction and ensure that works of merit reach a wider audience outside their country of origin”. Prizes are awarded for the best book and best first book in the Commonwealth; there are also regional prizes for the best book and best first book in each of four regions. Although not officially affiliated with the Commonwealth, the prestigious annual Man Booker Prize, one of the highest honours in literature, used to be awarded only to authors from Commonwealth countries or former members such as Ireland and Zimbabwe. Since 2014, however, writers of any nationality have been eligible for the prize providing that they write originally in English and their novels are published by established publishers in the United Kingdom. The South African writer Olive Schreiner‘s famous novel The Story of an African Farm was published in 1883 and New Zealander Katherine Mansfield published her first collection of short stories, In a German Pension, in 1911. The first major novelist, writing in English, from the Indian sub-continent, R. K. Narayan, began publishing in England in the 1930s, thanks to the encouragement of English novelist Graham Greene. Caribbean writer Jean Rhys‘s writing career began as early as 1928, though her most famous work, Wide Sargasso Sea, was not published until 1966. South Africa’s Alan Paton‘s famous Cry, the Beloved Country dates from 1948. Doris Lessing from Southern Rhodesia, now Zimbabwe, was a dominant presence in the English literary scene, frequently publishing from 1950 on throughout the 20th century. She won the Nobel Prize in Literature in 2007. Salman Rushdie is another post Second World War writer from the former British colonies who permanently settled in Britain. Rushdie achieved fame with Midnight’s Children 1981. His most controversial novel The Satanic Verses 1989, was inspired in part by the life of Muhammad. V. S. Naipaul (born 1932), born in Trinidad, was another immigrant, who wrote among other things A Bend in the River (1979). Naipaul won the Nobel Prize in Literature in 2001. Many other Commonwealth writers have achieved an international reputation for works in English, including Nigerian novelist Chinua Achebe, and playwright Wole Soyinka. Soyinka won the Nobel Prize in Literature in 1986, as did South African novelist Nadine Gordimer in 1995. Other South African writers in English are novelist J.M. Coetzee (Nobel Prize 2003) and playwright Athol Fugard. Kenya‘s most internationally renowned author is Ngũgĩ wa Thiong’o who has written novels, plays and short stories in English. Poet Derek Walcott, from Saint Lucia in the Caribbean, was another Nobel Prize winner in 1992. An Australian Patrick White, a major novelist in this period, whose first work was published in 1939, won in 1973. Other noteworthy Australian writers at the end of this period are poet Les Murray, and novelist Peter Carey, who is one of only four writers to have won the Booker Prize twice. The Commonwealth has adopted a number of symbols that represent the association of its members. The English language is recognised as a symbol of the members’ heritage; as well as being considered a symbol of the Commonwealth, recognition of it as “the means of Commonwealth communication” is a prerequisite for Commonwealth membership. The flag of the Commonwealth consists of the symbol of the Commonwealth Secretariat, a gold globe surrounded by emanating rays, on a dark blue field; it was designed for the second CHOGM in 1973, and officially adopted on 26 March 1976. 1976 also saw the organisation agree to a common date on which to commemorate Commonwealth Day, the second Monday in March, having developed separately on different dates from Empire Day celebrations. In 2009, to mark the 60th anniversary of the founding of the Commonwealth, the Royal Commonwealth Society commissioned a poll of public opinion in seven of the member states: Australia, Canada, India, Jamaica, Malaysia, South Africa and the United Kingdom. It found that most people in these countries were largely ignorant of the Commonwealth’s activities, aside from the Commonwealth Games, and indifferent toward its future. Support for the Commonwealth was twice as high in developing countries as in developed countries; it was lowest in Britain. Also to mark the 60th anniversary (Diamond Jubilee) of the Commonwealth in 2009, the Commonwealth Secretariat commissioned Paul Carroll to compose “The Commonwealth Anthem”. The lyrics of the Anthem are taken from the 1948 Universal Declaration of Human Rights. The Commonwealth has published the Anthem, performed by the Commonwealth Youth Orchestra, with and without an introductory narrative. ^ “Annex B – Territories Forming Part of the Commonwealth” (PDF). Her Majesty’s Civil Service. September 2011. Archived from the original (PDF) on 2011-12-06. Retrieved 19 November 2013. ^ “BBC News – Profile: The Commonwealth”. news.bbc.co.uk. February 2012. ^ “About us”. The Commonwealth. Retrieved 2013-10-03. ^ a b “The Commonwealth”. The Commonwealth. Archived from the original on 19 June 2010. Retrieved 30 June 2013. ^ “Imperial Conference 1926 Inter-Imperial Relations Committee Report, Proceedings and Memoranda” (PDF). November 1926. Retrieved 14 June 2018. Their position and mutual relation may be readily defined. They are autonomous Communities within the British Empire, equal in status, in no way subordinate one to another in any aspect of their domestic or external affairs, though united by a common allegiance to the Crown, and freely associated as members of the British Commonwealth of Nations. ^ “The London Declaration”. The Commonwealth. Archived from the original on 6 July 2010. Retrieved 4 July 2013. ^ “Charter of the Commonwealth”. The Commonwealth. Archived from the original on 4 January 2013. Retrieved 30 June 2013. ^ Queen Elizabeth II (1 July 1959). Queen Elizabeth’s 1959 Dominion Day Message. Government House (Rideau Hall), Ottawa: CBC. Retrieved 9 November 2015. ^ “History – Though the modern Commonwealth is just 60 years old, the idea took root in the 19th century”. thecommonwealth.org. Commonwealth Secretariat. Archived from the original on 19 June 2010. Retrieved 29 July 2011. ^ Mole, Stuart (September 2004). “Seminars for statesmen’: the evolution of the Commonwealth summit”. The Round Table. 93 (376): 533–546. doi:10.108n0/0035853042000289128 (inactive 2018-10-15). ^ The Irish Oath of Allegiance, agreed in 1921, included the Irish Free State‘s “adherence to and membership of the group of nations forming the British Commonwealth of Nations”. ^ Webb, Jeff A. (January 2003). “The Commission of Government, 1934–1949”. heritage.nf.ca. Newfoundland and Labrador Heritage Website. Retrieved 29 July 2011. ^ “Statute of Westminster Adoption Act 1942 (Cth)”. foundingdocs.gov.au (Documenting a Democracy). Museum of Australian Democracy at Old Parliament House. Retrieved 29 July 2011. ^ “New Zealand Sovereignty: 1857, 1907, 1947, or 1987?”. parliament.nz. Parliament of New Zealand. August 2007. Archived from the original on 2011-05-22. Retrieved 29 July 2011. ^ “Celebrating thecommonwealth@60”. thecommonwealth.org. Commonwealth Secretariat. 26 April 2009. Archived from the original on 4 August 2009. Retrieved 29 July 2011. ^ Theresa Walton and Susan Birrell. “Enduring Heroes: Hillary, Bannister, and the Epic Challenges of Human Exploration.” Journal of Sport History 39.2 (2012): 211–226. ^ Krishnan Srinivasan, “Nobody’s Commonwealth? The Commonwealth in Britain’s post-imperial adjustment.” Commonwealth & Comparative Politics 44.2 (2006): 257–269. ^ “Staying loyal to George”. indianexpress.com. ^ High Commissioner in United Kingdom (24 November 1952). “Royal Style and Titles”. Documents on Canadian External Relations > Royal Style and Titles. 18 (2). DEA/50121-B-40. Archived from the original on 23 November 2011. ^ Smy, William A. (2008). “Royal titles and styles”. The Loyalist Gazette. XLVI (1). Archived from the original on 11 July 2012. Retrieved 3 January 2011. ^ Toporoski, Richard. “The Invisible Crown”. Monarchy Canada. Archived from the original on 9 February 2008. Retrieved 20 April 2008. ^ www.bibliopolis.com. “A Message from the Rt. Hon. Winston S. Churchill, C.H., M.P. President, British Section, New Commonwealth Society by Winston S. Churchill on Churchill Book Collector”. Churchill Book Collector. ^ Hennessy, Patrick (2004-06-05). “Blair calls for quotas on immigrants from ‘New Commonwealth‘“. Miles, Robert (2016). “The Racialization of British Politics”. Political Studies. 38 (2): 277–285. doi:10.1111/j.1467-9248.1990.tb01493.x. ISSN 0032-3217. ^ James R. V. Ellison, “Perfidious Albion? Britain, Plan G and European Integration, 1955–1956,” Contemporary British History (1996) 10#4 pp 1–34. ^ Martin Schaad, “Plan G – A “Counterblast”? British Policy Towards the Messina Countries, 1956,” Contemporary European History (1998) 7#1 pp 39–60. ^ “BBC NEWS – UK – When Britain and France nearly married”. news.bbc.co.uk. 2007-01-15. ^ a b c Patterson, Percival (24 October 2007). “Report of the Committee on Commonwealth Membership”. Commonwealth Secretariat. Archived from the original on 26 April 2009. Retrieved 29 June 2008. ^ “Head of the Commonwealth”. Commonwealth Secretariat. Archived from the original on 30 September 2006. Retrieved 29 June 2008. ^ Walker, Peter (20 April 2018). “Prince Charles to be next head of Commonwealth”. The Guardian. Retrieved 3 December 2018. ^ “The Commonwealth at and immediately after the Coolum CHOGM”. The Round Table. 91 (364): 125–129. April 2002. doi:10.1080/00358530220144139. ^ Dale, William (July 1982). “Is the Commonwealth an International Organisation?”. International and Comparative Law Quarterly. 31 (3): 451–73. doi:10.1093/iclqaj/31.3.451. ^ Clute, Robert E.; Wilson, Robert R. (July 1958). “Commonwealth and Favored-Nation Usage”. American Journal of International Law. 52 (3): 455–468. doi:10.2307/2195461. JSTOR 2195461. ^ Hedley, Bull (July 1959). “What is the Commonwealth?”. World Politics. 11 (4): 577–87. doi:10.2307/2009593. JSTOR 2009593. ^ “Support for British nationals abroad: a guide” (PDF). Foreign and Commonwealth Office. 2013. p. 5. Archived from the original (PDF) on 19 October 2013. We may also help Commonwealth nationals in non-Commonwealth countries where they do not have any diplomatic or consular representation, but will normally ask their nearest embassy to provide any ongoing assistance required. ^ “Canada-Australia Consular Services Sharing Agreement”. Travel.gc.ca. 2012-11-16. Retrieved 25 September 2014. ^ de Smith, S.A. (July 1949). “The London Declaration of the Commonwealth Prime Ministers, 28 April 1949”. The Modern Law Review. 12 (3): 351–354. doi:10.1111/j.1468-2230.1949.tb00131.x. JSTOR 1090506. ^ a b “Lusaka Declaration on Racism and Racial Prejudice”. Commonwealth Secretariat. 7 August 1979. Archived from the original on 30 September 2006. Retrieved 3 April 2008. ^ Williams, Paul D. (July 2005). “Blair’s Britain and the Commonwealth”. The Round Table. 94 (380): 381–391. doi:10.1080/00358530500174960. ^ “Harare Commonwealth Declaration”. Commonwealth Secretariat. 20 October 1991. Archived from the original on 7 February 2004. Retrieved 29 July 2007. ^ “Commonwealth Ministerial Action Group”. Commonwealth Secretariat. Archived from the original on 30 September 2006. Retrieved 29 July 2007. ^ a b te Velde-Ashworth, Victoria (10 October 2005). “The future of the modern Commonwealth: Widening vs. deepening?” (PDF). Commonwealth Policy Studies Unit. Archived from the original (PDF) on 22 July 2007. Retrieved 29 July 2007. ^ “Commonwealth membership in focus at London meeting”. Commonwealth Secretariat. 6 December 2006. Archived from the original on 13 March 2007. Retrieved 29 July 2007. ^ Osike, Felix (24 November 2007). “Rwanda membership delayed”. New Vision. Archived from the original on 23 January 2013. Retrieved 29 November 2009. ^ “Rwanda: Joining the Commonwealth”. The New Times. AllAfrica. 27 November 2009. ^ Kron, Josh (28 November 2009). “Rwanda Joins British Commonwealth”. The New York Times. Retrieved 29 November 2009. ^ “Conference on Rwanda’s Commonwealth bid to be held”. The New Times. 3 August 2008. Retrieved 25 September 2015. ^ “Country Comparisons – Population”. The World Factbook. Central Intelligence Agency. 19 March 2009. Retrieved 22 March 2009. ^ “Tuvalu: Key Facts”. Commonwealth Secretariat. 19 March 2009. Archived from the original on 29 October 2007. Retrieved 18 May 2011. ^ “Country Comparisons – Area”. The World Factbook. Central Intelligence Agency. 19 March 2009. Retrieved 22 March 2009. ^ “World Economic Outlook Database”. International Monetary Fund. 18 April 2017. ^ McIntyre, W. David (April 2008). “The Expansion of the Commonwealth and the Criteria for Membership”. Round Table. 97 (395): 273–85. doi:10.1080/00358530801962089. ^ “Nauru back as full Commonwealth member”. Radio New Zealand International. 26 June 2011. Retrieved 26 July 2011. ^ “Nauru Accedes to Full Membership of the Commonwealth”. Commonwealth Secretariat. 12 April 1999. Archived from the original on 11 October 2008. Retrieved 30 January 2009. ^ “New Criteria for Commonwealth Membership”. thecommonwealth.org. ^ “South Sudan Launches Bid to Join Commonwealth”. gurtong.net. ^ a b Alderson, Andrew (17 December 2006). “Israelis and Palestinians could join Commonwealth”. The Daily Telegraph. London. Retrieved 29 November 2009. ^ a b “Statement by Commonwealth Secretary-General Kamalesh Sharma on The Gambia”. The Commonwealth. 4 October 2013. Retrieved 6 October 2013. ^ a b “The Gambia rejoins the Commonwealth”. Commonwealth Secretariat. 8 February 2018. ^ “States and Territories”. 15CCEM. Archived from the original on 29 September 2007. ^ Baldacchino, Godfrey; Milne, David (September 2006). “Exploring sub-national island jurisdictions: An editorial introduction”. The Round Table. 95 (386): 487–502. doi:10.1080/00358530600929735. ^ “Written evidence from States of Jersey”. Chief Minister of Jersey. Retrieved 18 March 2013. ^ “The role and future of the Commonwealth”. House of Commons. Retrieved 18 March 2013. ^ “Written evidence from the States of Guernsey”. Policy Council of Guernsey. Retrieved 18 March 2013. ^ “Isle of Man welcomes report on Commonwealth future”. Isle of Man Government. 23 November 2012. Archived from the original on 2 March 2013. Retrieved 19 March 2013. ^ “France offered to ‘merge’ with UK in 1950s”. Telegraph.co.uk. 15 January 2007. ^ Colvile, Robert (July 2004). “A Place to Stand: the Problems and Potential of the Commonwealth Ministerial Action Group”. The Round Table. 93 (375): 343–53. doi:10.1080/0035853042000249942. ^ Ingram, Derek (October 1999). “Commonwealth Update”. The Round Table. 88 (352): 547–567. doi:10.1080/003585399107758. ^ Ingram, Derek (October 2007). “Twenty Commonwealth steps from Singapore to Kampala”. The Round Table. 96 (392): 555–563. doi:10.1080/00358530701625877. ^ Ingram, Derek (January 2000). “Commonwealth Update”. The Round Table. 89 (353): 45–57. doi:10.1080/750459452. ^ Ingram, Derek (July 2004). “Commonwealth Update”. The Round Table. 93 (375): 311–42. doi:10.1080/0035853042000249933. ^ Gruenbaum, Oren (February 2008). “Commonwealth Update”. The Round Table. 97 (394): 3–17. doi:10.1080/00358530701864963. ^ a b Ingram, Derek (April 2002). “Commonwealth Update”. The Round Table. 91 (364): 131–59. doi:10.1080/00358530220144148. ^ “Editorial: CHOGM 2003, Abuja, Nigeria”. The Round Table. 93 (373): 3–6. January 2004. doi:10.1080/0035853042000188139. ^ “Zimbabwe applies to rejoin Commonwealth”. Al Jazeera. 2018-05-22. Retrieved 2018-05-22. ^ a b c d “Fiji Suspended from the Commonwealth”. Commonwealth Secretariat. 1 September 2009. Archived from the original on 4 September 2009. Retrieved 1 September 2009. ^ “Fiji Rejoins the Commonwealth”. Commonwealth Secretariat. 30 September 1997. Archived from the original on 1 November 2004. Retrieved 1 September 2009. ^ Ingram, Derek (July 2000). “Commonwealth Update”. The Round Table. 89 (355): 311–55. doi:10.1080/00358530050083406. ^ a b “Fiji suspended from Commonwealth”. BBC News. 8 December 2006. Retrieved 1 February 2009. ^ “Foreign & Commonwealth Office Minister welcomes Commonwealth statement on Fiji – GOV.UK”. www.gov.uk. ^ “Fiji rejoins Commonwealth as a full member”. The Commonwealth. 26 September 2014. Retrieved 28 September 2014. ^ Nasik Swami (28 September 2014). “We’re back”. Fiji Times. Retrieved 28 September 2014. ^ David Miliband (11 March 2013). “Britain must stand up for human rights in Sri Lanka”. The Guardian. M.guardian.co.uk. Retrieved 18 April 2013. ^ Mike Blanchfield (14 January 2013). “Harper rebukes Sri Lanka over jurist’s dismissal as talk of summit boycott heats up”. The Globe and Mail. Retrieved 18 April 2013. ^ “The Commonwealth Secretariat”. 2016-10-13. Retrieved 2016-10-13. ^ a b c “The Maldives decides to leave the Commonwealth; commits to continue with its international engagement”. Maldivian Ministry of Foreign Affairs. 13 October 2016. Archived from the original on 14 October 2016. Retrieved 13 October 2016. ^ “Maldives to rejoin Commonwealth of former British colonies”. The National. 2018-11-20. Retrieved 2018-11-23. ^ “Singapore Declaration of Commonwealth Principles 1971” (PDF). thecommonwealth.org. Commonwealth Secretariat. 22 January 1971. Retrieved 15 November 2013. ^ “Langkawi Declaration on the Environment”. USM Regional Center of Expertise in Education for Sustainable Development. 21 October 1989. Retrieved 3 April 2008. ^ Hasu Patel, “Southern Africa and democracy, in the light of the Harare declaration.” The Round Table 89.357 (2000): 585–592. ^ “Our Work”. Commonwealth Secretariat. Archived from the original on 20 August 2006. Retrieved 3 April 2008. ^ “Aso Rock Commonwealth Declaration” (PDF). Commonwealth Secretariat. 8 December 2003. Archived from the original (PDF) on 13 June 2006. Retrieved 3 April 2008. ^ “Commonwealth Secretariat”. Commonwealth Secretariat. 7 August 1979. Retrieved 3 April 2008. ^ Borger, Julian; editor, diplomatic (8 October 2010). “Commonwealth has abandoned human rights commitment – leaked memo”. The Guardian – via The Guardian. ^ a b Cheadle, Bruce (30 October 2011). “Commonwealth leaders agree to develop charter of values and little else”. Toronto Star. Retrieved 30 October 2011. ^ Cheadle, Bruce (29 October 2011). “Commonwealth leaders still haggling over human rights reforms”. Toronto Star. Retrieved 29 October 2011. ^ a b Watt, Nicholas (29 October 2011). “Commonwealth leaders under fire for refusing to publish human rights report”. The Guardian. Retrieved 29 October 2011. ^ “Queen to sign new charter backing equal rights for gay people across Commonwealth”. Standard.co.uk. 11 March 2013. Retrieved 18 April 2013. ^ “Commonwealth charter to focus on gay rights”. The Times of India. 11 March 2013. Archived from the original on 11 April 2013. Retrieved 18 April 2013. ^ Skinner, James (17 March 2015). “Free movement proposed between Canada, U.K, Australia, New Zealand”. CBC News. Retrieved 3 September 2016. ^ Bourke, Latika (21 May 2016). “Alexander Downer flags ‘freer movement’ for Australians emigrating to Britain”. Sydney Morning Herald. Retrieved 3 September 2016. ^ “Gross domestic product 2012” (PDF). World Bank. 1 July 2013. Archived from the original (PDF) on 10 August 2013. Retrieved 1 July 2013. ^ “GDP per capita (current US$)”. World Bank. Retrieved 1 July 2013. ^ “Gross domestic product 2012, PPP” (PDF). World Bank. 1 July 2013. Archived from the original (PDF) on 10 August 2013. Retrieved 1 July 2013. ^ “GDP per capita, PPP (current international $)”. World Bank. Retrieved 1 July 2013. ^ Catherine R. Schenk, “Britain in the world economy.” in Paul Addison and Harriet Jones, eds., A Companion to Contemporary Britain: 1939–2000 (2005): 436–481, esp. 469-71. ^ Gregory A. Johnson, “The Last Gasp of Empire: The 1964 Flag Debate Revisited,” in Phillip Buckner, ed., Canada and the End of Empire (U of British Columbia Press, 2005) p. 6. ^ Andrea Benvenuti, “‘Layin’ Low and Sayin’ Nuffin’: Australia’s Policy towards Britain’s Second Bid to Join the European Economic Community (1966–67)” Australian Economic History Review 46#2 (2006): 155–175. ^ “Trading Places: The “Commonwealth effect” revisited, p. 9″ (PDF). ^ “Commonwealth Secretariat – Valletta Statement on Multilateral Trade”. Thecommonwealth.org. 2005-11-26. Archived from the original on 2013-01-05. Retrieved 2012-09-27. ^ “The role and future of the Commonwealth” (PDF). British Parliament. 15 November 2012. Retrieved 29 June 2013. ^ “Why the Commonwealth Matters More Now than Ever”. UK Independence Party. 11 March 2013. Archived from the original on 29 June 2013. Retrieved 29 June 2013. ^ “To the Commonwealth, “Global Britain” sounds like nostalgia for something else”. New Statesman 28th February 2017. ^ “Assessing the Costs and Benefits of a Closer EU – Canada Economic Partnership: A Joint Study by the European Commission and the Government of Canada” (PDF). Trade.EC.Europe.eu. Retrieved 10 June 2017. ^ “Canada-European Union: CETA”. International.gc.ca. Archived from the original on 2012-05-03. Retrieved 2012-09-27. ^ a b McKinnon, Don (February 2008). “A Commonwealth of Values: a Commonwealth of incomparable value”. The Round Table. 97 (394): 19–28. doi:10.1080/00358530801890561. ^ a b “Commonwealth Games and Art Festival”. The Round Table. 91 (365): 293–296. July 2002. doi:10.1080/0035853022000010308. ^ McDougall, Derek (July 2005). “Australia and the Commonwealth”. The Round Table. 94 (380): 339–349. doi:10.1080/00358530500175033. ^ Muda, Muhammad (April 1998). “The significance of the Commonwealth Games in Malaysia’s foreign policy”. The Round Table. 87 (346): 211–226. doi:10.1080/00358539808454416. ^ a b Dare, Annie (15 October 2000). “Ten Key Things About War Graves”. The Observer. p. 29. ^ a b c Binyon, Michael (22 January 1999). “Millions trace war dead on Internet”. The Times. p. 3. ^ “Commonwealth Local Government Forum (CLGF) | The Commonwealth”. thecommonwealth.org. Retrieved 2017-02-23. ^ “Global Taskforce of Local and Regional Governments”. globaltaskforce. Retrieved 2017-02-23. ^ Perkin, Harold (September 1989). “Teaching the nations how to play: sport and society in the British Empire and Commonwealth”. International Journal of the History of Sport. 6 (2): 145–155. doi:10.1080/09523368908713685. ^ Michael, Dawson (February 2006). “Acting global, thinking local: ‘Liquid imperialism’ and the multiple meanings of the 1954 British Empire & Commonwealth Games”. International Journal of the History of Sport. 23 (1): 3–27. doi:10.1080/09523360500386419. ^ Jonathan, Clayton (20 November 2007). “Schoolboy cricketers bat their way to a place in the Commonwealth”. The Times. London. Retrieved 27 March 2009. ^ Pflanz, Mike (24 July 2007). “Rwanda in drive to join Commonwealth”. Daily Telegraph. London. Retrieved 27 March 2009. ^ Hill, Douglas (1 October 1988). “A report on stories from the outposts of Commonwealth literature”. The Globe and Mail. p. 21. ^ McCrum, Robert (13 October 2003). “English Is a World Language – and That’s to Be Prized”. The Los Angeles Times. p. B15. ^ Tunca, Daria (27 September 2018). “ACLALS: Association for Commonwealth Literature and Language Studies”. ACLALS. Retrieved 13 December 2018. ^ Iyer, Pico (12 February 1993). “The Empire Writes Back”. The Straits Times. p. 1. ^ “Meet the Man Booker Prize 2014 Judges”. The Man Booker Prizes. 12 December 2013. Retrieved 10 June 2017. ^ “The Nobel Prize in Literature 2007”. Nobelprize.org. Retrieved 10 June 2017. ^ “2001 Laureates”. Literature. The Nobel prize. ^ The Statesman’s Yearbook 2017: The Politics, Cultures and Economies of the World. Palgrave Macmillan UK. 2017. p. 46. ISBN 9781349683987. ^ Dhananjayan Sriskandarajah. “Canada, Commonwealth and the key to relevance”. The Globe and Mail. Retrieved 18 April 2013. ^ Elizabeth Renzetti. “Commonwealth: quaint historical relic or meaningful bloc?”. The Globe and Mail. Retrieved 18 April 2013. ^ “Queen marks Commonwealth launch”. BBC News. Retrieved 5 August 2014. ^ “A Celebration of Her Majesty’s Sapphire Jubilee”. Commonwealth Music Council. 2016. ^ “Commonwealth Anthem (with introductory narrative)”. 13 September 2017. ^ “Windsor Suite Commonwealth Anthem”. 20 March 2018. Ashton, Sarah R. “British government perspectives on the Commonwealth, 1964–71: An asset or a liability?.” Journal of Imperial and Commonwealth History 35.1 (2007): 73–94. Jebb, Richard (1905). “Imperial Organization” . The Empire and the century. London: John Murray. pp. 332–348. McIntyre, W. David. The commonwealth of nations: Origins and impact, 1869–1971 (U of Minnesota Press, 1977); Comprehensive coverage giving London’s perspective on political and constitutional relations with each possession. McIntyre, W. David. “The Unofficial Commonwealth Relations Conferences, 1933–59: Precursors of the Tri-sector Commonwealth.” Journal of Imperial and Commonwealth History 36.4 (2008): 591–614. Perkin, Harold. “Teaching the nations how to play: sport and society in the British empire and Commonwealth.” International Journal of the History of Sport 6.2 (1989): 145–155. Williams, Paul D. “Blair’s Britain and the Commonwealth.” The Round Table 94.380 (2005): 381–391.